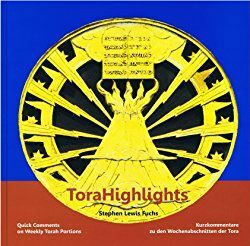 ToraHighlights is a collection of Rabbi Fuchs' insightful yet brief commentaries on each weekly Torah portion (Parashat). The fact that it was written by an American Reform Rabbi and proposed, translated, and published by a German Lutheran Pastorin, Ursula Seig, CEO of Mutual Blessing Edition, confirms the vitality of this remarkable alliance. ToraHighlights is the quintessential platform for cultivating interfaith acceptance and understanding. The beautiful photos of the Holy Day and Festival roundels in Congregation Beth Israel, West Hartford, CT are the work of Lena Stein. Provide concise meaningful comments on each weekly portion that are suitable for study by adults or for one preparing a D’var Torah for a Bar or Bat Mitzvah. 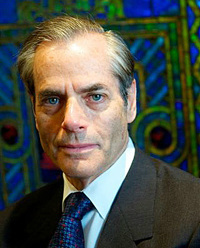 Acknowledge the strong connection between Jewish life in America and its roots in Germany. Serve as a gesture of reconciliation between Jews and the Germany, which has done so much to acknowledge and atone for the Shoah. Beautify the home or Shabbat table where it might spark meaningful conversation about the weekly Torah portion. ​ToraHighlights is available at Amazon.com.